Backpacking in Colorado’s high country and pristine wilderness is one of my favorite pastimes. Use this guide to plan your own trip to Colorado’s scenic high country. Planning a backpacking trip to a Colorado wilderness or backcountry destination requires an understanding of the challenges of the Rocky Mountain environment. Knowledge of weather, terrain, water sources, and high altitude factors can make the difference between a memorable trip, or a miserable one. 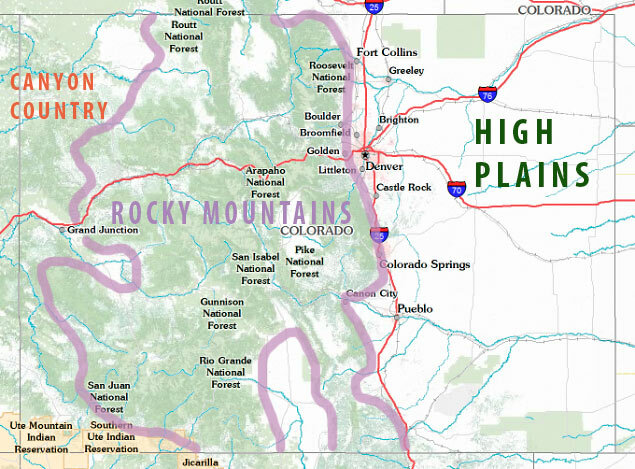 Understanding Colorado’s geography and the online resources that can assist you while mapping out your trip can be a great help towards having a memorable experience. Towards the end of this guide, I include several websites that I use to plan my trips. Looking for Backpacking Trip Ideas? If you’re looking for backpacking trip ideas, head over to the Trip Ideas section below. Not all of the state of Colorado is mountainous. The eastern third of Colorado is flat, rolling plains. The plains are the western-most edge of the Great Plains that extend across the midwest. Most of the state’s population lives here, mainly in cities bordering the foothills of the Rocky Mountains. Riding along the center of the state is the spine of the Rocky Mountains. The rockies form the Continental Divide, which is the name for the boundary which delineates the Pacific and Atlantic watersheds. To the west, the Rockies slowly fade into the Colorado plateau, an arid landscape of canyons, buttes, and mesas that is characteristic of the southwest United States. The state of Colorado is known for its high altitude. Many of the popular backpacking destinations require prolonged hiking at elevations above 10,000 ft. The high altitude environment brings with it some extra dangers such as: exposure to severe weather, altitude sickness, water-borne parasites, and dehydration. Altitude sickness, a common ailment for even healthy, physically fit individuals above 10,000 ft. elevation occurs because the body requires time to adapt to unusually low oxygen levels at these elevations. Altitude sickness is most aggravated by an increase in altitude, and physical exertion. Common symptoms include shortness of breath, headache, nausea, loss of appetite, insomnia, and nosebleed. To avoid or reduce the effects of altitude sickness, try to acclimatize to the altitude. This can be done by slowly increasing your altitude each day, giving your body time to adjust. During these time periods refrain from physical exercise. When backpacking, follow this rule: climb high, sleep low. During the day you can cover higher terrain, but camp at night at a lower altitude. Acclimatize: stop at an intermediate altitude for 24 hrs. The Rocky Mountains create an extensive barrier to the flow of air currents across North America. During the summer, these air currents (or wind) together with strong daytime heating produce thunderstorms in the mountains of Colorado nearly every summer day. Thunderstorms typically begin to form between 11 AM and midday in the Colorado high country and may sometimes linger well into the evening. By definition, all thunderstorms produce lightning. Thunderstorms may also produce strong, potentially damaging downburst winds, rain, hail, sudden drops in temperature, and even graupel (or ice pellets) at the higher elevations. And, what few people realize is thunderstorms can and do produce tornadoes even in the mountains. Every Colorado county has recorded at least one tornado since the turn of the 20th Century. Thunderstorms pose a serious threat to hikers. With the proper guidance and preparation you can avoid or reduce the risk of serious injury or death while hiking in the high country during the summer thunderstorm season. To reduce the chance of being caught in a thunderstorm, many hikers avoid hiking during the afternoon. It is common practice to reach the summit of a mountain around mid-morning and then return to a lower elevation before thunderheads begin forming over the high ridges. Lightning is the number one natural killer in Colorado. The best way to avoid being a statistic is to be aware of changes in the weather and descend to a lower elevation at the first sign of bad weather (ie. approaching dark clouds, distant thunder, the smell of rain, gusty thunderstorm outflow winds, etc). Understand that lightning is attracted to the highest objects in a given area. Mountain peaks, pinnacles, rock outcrops, the opening of caves, tall trees, act as paths for the discharge of lightning between the cloud and ground. 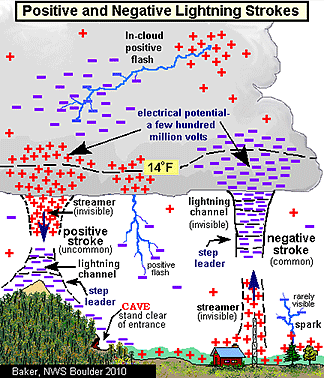 Lightning comes in all forms, cloud-to-ground, cloud-to-cloud, cloud-to-air, and in-cloud. There are positively charged and negatively charged lightning strokes. Negatively charged lightning is the most common type of lightning. This type of lightning originates at the ground and darts upward into the storm cloud. If you should feel your hair standing on end, hear a crackling noise in your ears, or just smell ozone in the air, there’s a fair bet negatively charged lightning is about to discharge near by. Unfortunately, there’s really no warning that a positively charged lightning bolt will strike as this type of lightning originates inside the storm cloud. Positive lightning is especially dangerous as it is often blamed for starting most wildfires attributed to lightning. If caught in a thunderstorm, seek shelter, preferably in a low lying dry place. If in a group, spread out to reduce the chance of multiple people being struck at once. Avoid isolated trees, rock outcrops, the entrance to caves, and open areas. If you are caught in your tent, find more substantial shelter such as a dense stand of short trees, or in a cave and stand back at least 6 feet from its entrance. If caught outdoors in the open, crouch down onto the balls of your feet and make yourself as small of a target as possible. Standing on a sleeping bag, a piece of wood, a sheet of plastic and even a rubber tire offers no protection from lightning. Lightning’s highly charged electrons move along the surface of objects and not normally through them. One of the safest places outdoors during a thunderstorm is within a hard top vehicle with the windows rolled up. Should the vehicle be struck by lightning, its outer shell will conduct this charge around the occupants and into the ground – passing over the surface of the rubber tires! When lightning strikes, if you’re not killed by the millions of volts of electricity, the 50,000 degree stroke may leave you severely burned. On long hikes, it is common practice to leave the trail head early in the morning and to be on the summit around 9AM, giving time to return before the afternoon lightning storms occur. Hypothermia occurs when the body’s core temperature drops below 95F. It is an extremely dangerous state to be in and best to avoid at all possible cost. Hypothermia can occur any time in the backcountry. Most cases of hypothermia occur due to wet or inadequate clothing. Inexperienced hikers embark on outdoor excursions unprepared for the extreme weather of the mountains. It may be sunny and warm at the outset, but the weather can (and often does) change. Thunderstorms with heavy rain, and strong winds can drench the unprepared. A heavy fog or misty rain can cause hikers to lose the trail and force them to spend a night on the mountain. At night, temperatures will fall below freezing, causing hypothermia and death. Plan for the worst weather. Always pack a jacket. Choose wool, or synthetic clothing. Wool will insulate you even when wet. Synthetic fabrics dry quickly and will still insulate when wet. Do NOT wear cotton t-shirts and jeans when outdoors. When sweat or water soaked, they will not keep you warm. Always keep your sleeping bag dry. If your body temperature drops, use your sleeping bag to warm up. If cold, drink warm liquids. Flash floods are a dangerous phenomenon that occurs when heavy rain falls in a mountainous area unleashing a fast moving torrent of water into a dry gully, creek, or river. In desert places, many arroyos, and creek beds are dry for much of the year. But heavy rain in mountains miles away can cause a large amount of water runoff to flow rapidly downhill and cause a flash flood in low lying areas and normally dry creek beds. When hiking near creeks, always watch for sudden changes in water level and move to higher ground. Never camp close to creeks or streams or in a dry creek bed. Overnight, the weather may worsen and you may find you and your campsite washed downstream. With the exception of the highest elevations, most of the state of Colorado is dry and gets under 20 inches of precipitation. This makes backpacking at lower elevations, where water is scarce, difficult. When on a multi-day backpacking trip, it isn’t practical to carry gallons of water due to its weight. Backpackers and hikers in Colorado tend to use rivers, streams, or alpine lakes as sources of drinking water. In desert country, characterized by sagebrush, or juniper vegetation, water will be difficult to find. In these areas, it is important to be knowledgeable about local water sources prior to embarking on your trip. Use topographic maps and guide books to identify water sources you may be able to rely upon. Some Colorado lakes and streams contain a tiny water-borne parasite called giardia which can be harmful to humans if ingested. To be safe, treat all surface water by either boiling or using a water filter/water purification method proven to remove/kill giardia protozoa. Unless you are able to test and prove that a water source is verifiably clean and safe to drink (which most people cannot), you should always purify or sterilize water from all Colorado lakes, or streams before drinking or cooking. 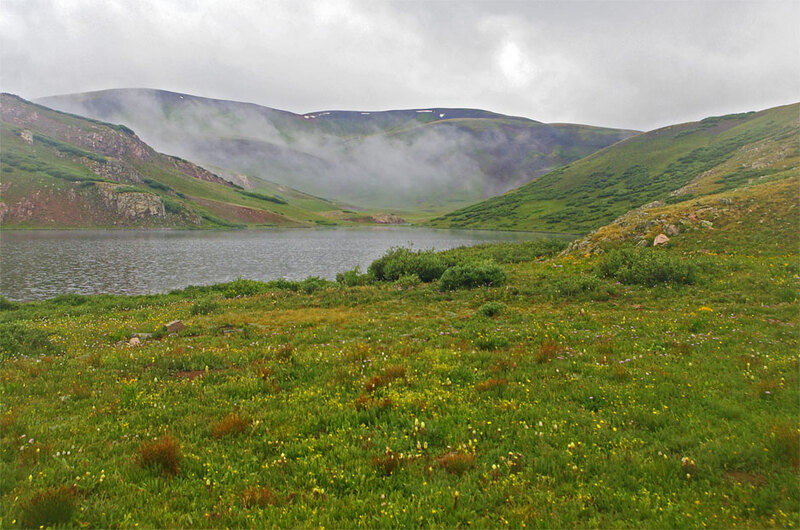 For backpacking trips in Colorado high country, be prepared by packing protective rain gear. Downpours can last for hours, and are accompanied by fierce wind gusts and hair-raising lighting. If conditions are right, storms can dump several inches of ‘summer snow’. For this reason, a 3-season tent, rain jacket, weather-proof boots, and related gear are essential. For summer camping a sleeping bag rated at 25F degrees (at minimum) is recommended. Sleeping bags of a variety of shapes, and insulation types are available. Be sure to select a sleeping bag that is light, warm, and can withstand general use. See my Backpack and Sleeping Bag Guide for more information. If you intend to stay any number of days in the backcountry, a good tent is an absolute necessity. Most tents marketed as a backpacking tent will work well in Colorado. For tips and general tent advice, see my Choosing a Backpacking Tent blog post. 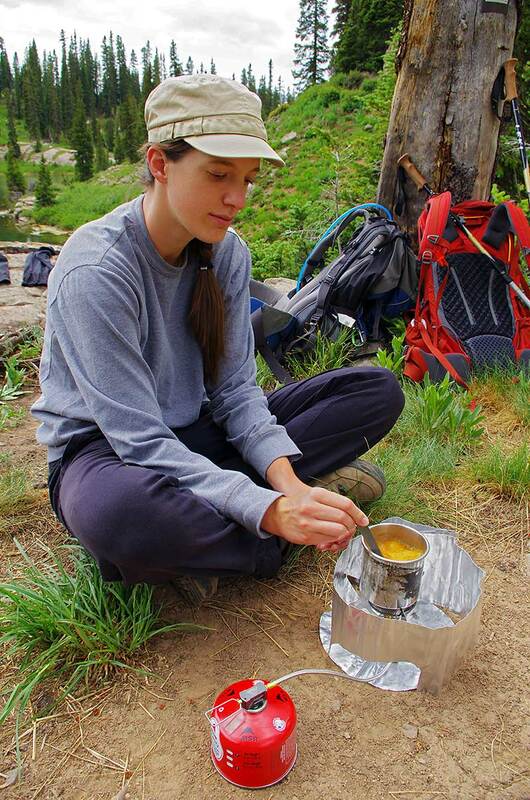 The most popular method for heating food or water in the rocky mountain high country is highly reliable isobutane compact stoves. These stoves are light, compact, easy to get started, and can be readily refueled with fuel canisters. Most isobutane stoves can boil a liter of water in well under 5 minutes. Stoves can range from the unsophisticated single burner compact folding stove, to more sophisticated units with precision valves for adjusting the gas flow for cooking. Most backpackers, however, tend to use stoves for boiling water rather than for cooking. 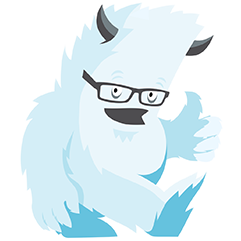 Notify someone about where you are going. Include specifics like: the trailhead you will park your car at, and your expected return date and time. Check the latest weather report for your destination. Use the NOAA’s point forecast feature for a more accurate weather report. The best weather in Colorado’s high country is in early to mid-July, and September. A rainy season occurs around the end of July into the month of August. The wildflowers in the high country are not at their peak until late July, early August. Fall is also an excellent time to visit, but can bring winter-like weather. The aspen’s change color in late September and the color lasts into mid-October. But the peak can vary widely depending on elevation and year-to-year weather variations. Get trip ideas for your next outing into the backcountry of Colorado. Guidetrails.com – A blog featuring several backpacking loops: Conejos River Loop, Flattops 50 Miler Loop, and the Grand Loop in Rocky Mountain National Park. Top 8 Backpacking Hikes in Colorado with maps, photos of the scenery you’ll see, and detailed trip information. Hiking in Colorado – Website about Colorado hiking. I have a High Sierra Hawk 45 back pack, we are planning on back packing the Lost Creek Wilderness area. Going about 4 to 5 days and nights. It is my second time for back packing… What are your thoughts on the pack? There will be two adults and two 12 yr. old boys(grand kids. Going the first week in July 2016. Every weekend i used to pay a visit this web site, as i wish for enjoyment, as this this site conations in fact nice funny information too. My son is nineteen and wants to back pack solo in some remote areas of southern CO. Is it advisable to back pack solo? If so, do you have any special instructions? Does your son have experience in wilderness camping in remote locations such as the Rocky Mountains? I wouldn’t recommend going solo, but if he does go, I recommend that all solo hikers leave a detailed plan of where they are going, how long they expect to be gone, and a plan for what they will do if they get lost or hurt. Be advised that cell phone service is none existent in much of the mountains in Colorado. I recommend getting a satellite beacon like the Spot! personal tracker to send a distress signal in case he gets in trouble. That time of year, May 24-28, a backcountry trip in Maroon Bells Snowmass wilderness will be approaching a challenging Winter trip. Not out of the question, but you’d better know what lies ahead. From Maroon Lake to Crater Lake will be relatively tame, but above 10,000′ (beyond Crater Lake) you will be hiking on mostly snow, trail will be obscured, better have GPS to find trail. There are several stream crossings that will be dangerous with the high speed/volume water of Spring runoff. Expect night time lows above 10k to be sub freezing. I was at Crater Lake first week of June last year and watched snow/ice falls calving off the Bells every few minutes as the sun warmed the peak. Beautiful but dangerous. Don’t know if they were reaching the stream bed below (where the trail is) but I know I wouldn’t want to be in their path. In June, overnight lows in Silver Bell campground (~9000′) were 32-38. Best of luck! Any recommendations for a loop the week of June 12th? Do you have any advice for backpacking in early November because we may go hike Lost Creek Loop on the first week of November. Also interested in a supplemental gear list for colder weather camping. I’m used to the east coast but I’m not super familiar with conditions in the high country during November. Thanks!